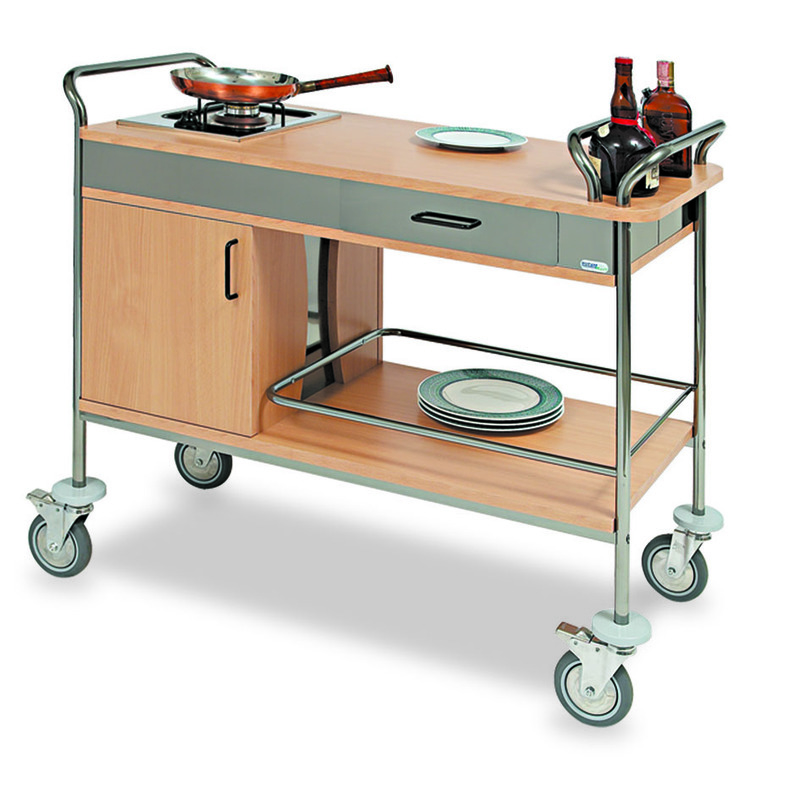 Our newest flambè trolley with an innovative and elegant rounded design made of solid wood. 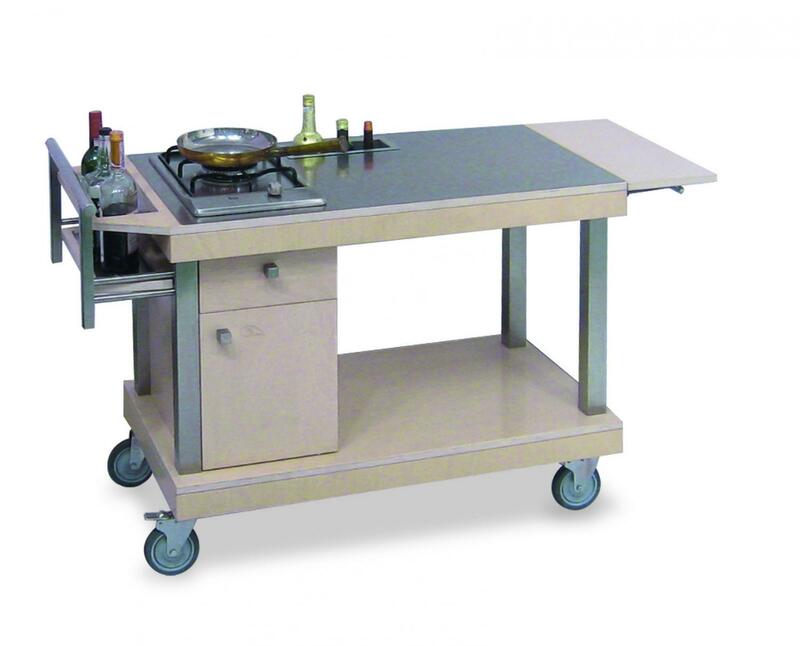 To complete the HIRA line the flambè trolley with 1 burner with rounded chromed tube structure and laminated wood paneling with a wide choice of colors. 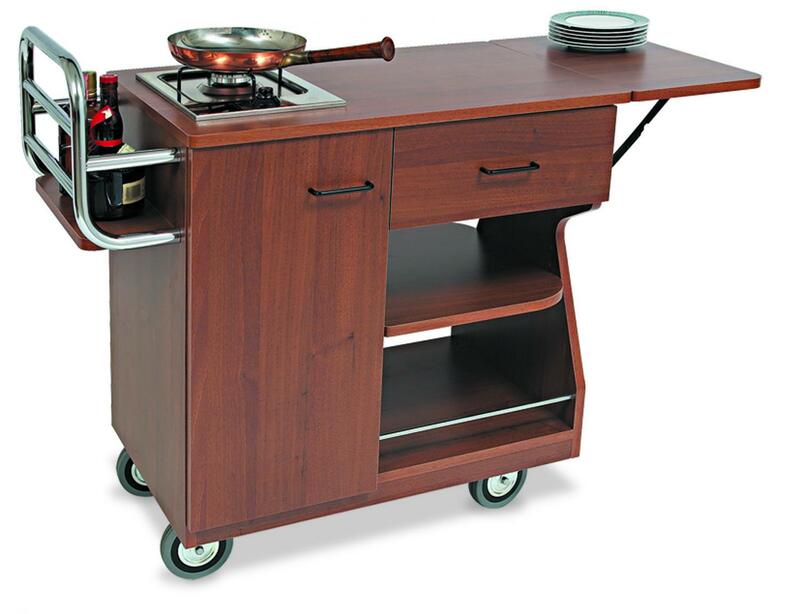 Contemporary solid wood and stainless steel trolley with one burner and stainless steel coated countertop. 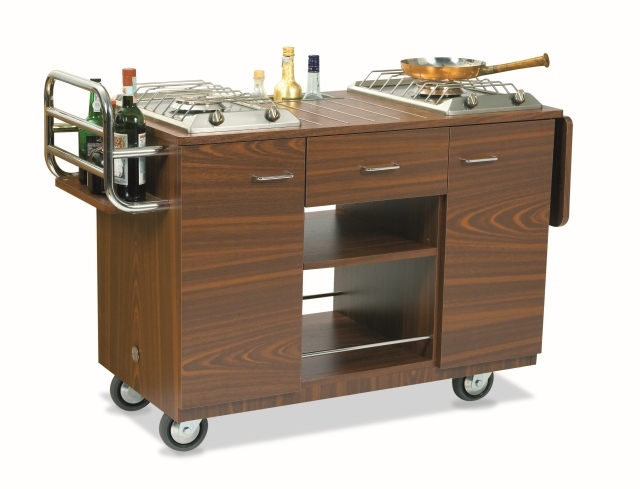 Solid wood trolleys with a stylish and luxurious design with a single burner and stainless steel countertop. 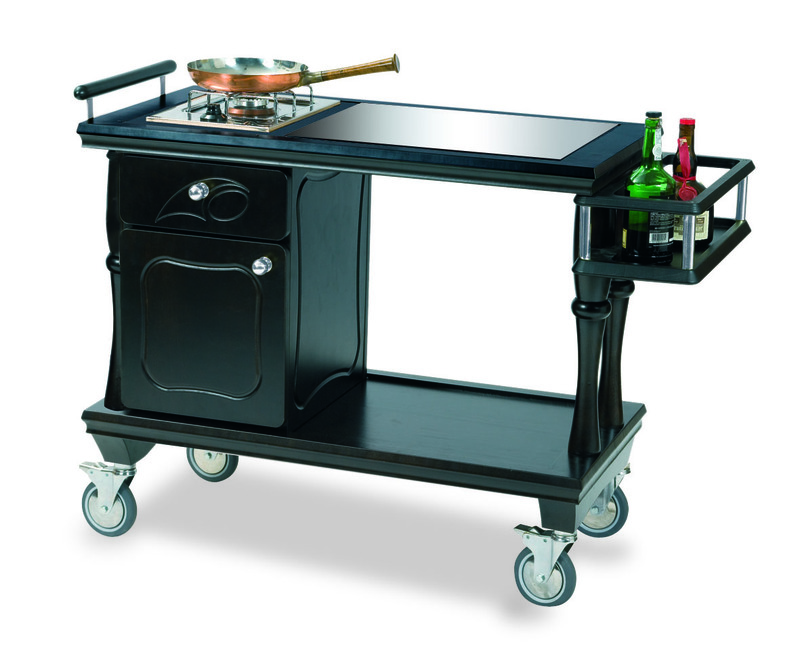 Flambè trolley with a classic design.